A super concentrated general purpose cleaner. 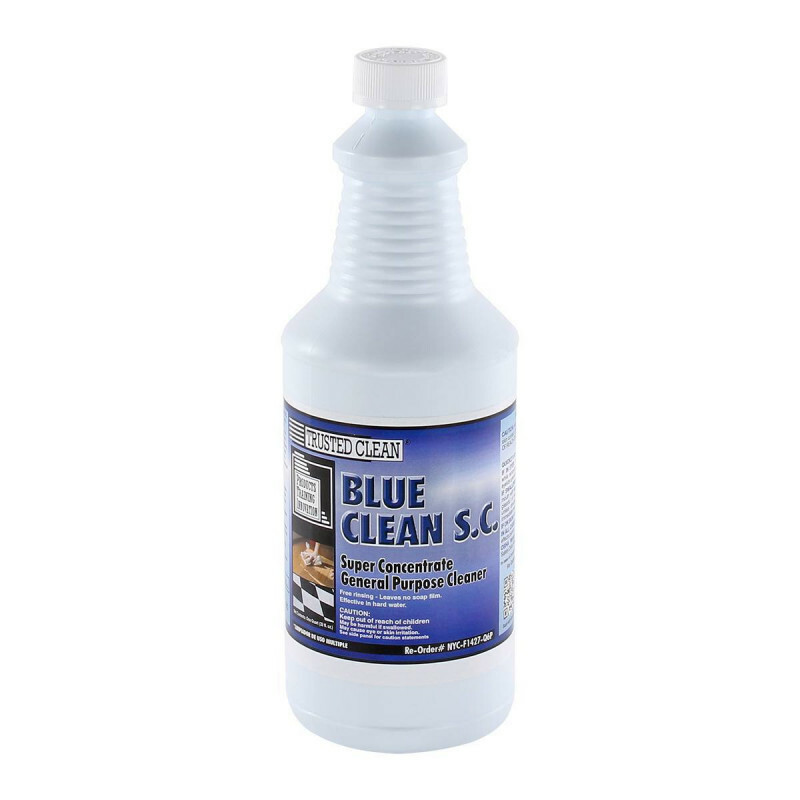 Blue Clean SC is a blend of surfactants and mild inorganic builders which easily, effectively, and safely cleans all surfaces not harmed by water. Conditioners and softeners work well in hard water and the rinse free formulation leaves cleaned surfaces sparkling! Exceptional cleaning power, yet it is safe on surfaces. For tougher cleaning agents, please take a look at our complete line of floor cleaning solutions & degreasers. Safe for use on all resilient floors, walls, sealed wood, tile, etc. Removes dirt, grime, smudges, light oils, and other common soils. Concentrated for extra economy and efficiency. Non-corrosive, solvent free, contains no hazardous ingredients, and is pleasantly scented. Customers who were interested in the Trusted Clean 'Blue Clean S.C.' Super Concentrated Blue Floor Cleaner - 6 Quarts were also interested in the following items. This is a review for the Trusted Clean 'Blue Clean S.C.' Super Concentrated Blue Floor Cleaner - 6 Quarts.